Deanta’s brand new stylish room divider solution uses a high quality track to allow any of our doors to effortlessly glide across the system. Room dividers offer a vast array of different options to choose from. A room divider can bring that flexibility to a property that is not always afforded by merely using walls to separate rooms. Numerous configurations can be created to suit any home. Our folding systems are a complete off-the-shelf solution allowing you to quickly and easily install your chosen configuration. We have specially designed the track and bearings and put them through rigourous testing to ensure they can withstand the extra weight you would come to expect from a Deanta door. This ensures that your doors will effortlessly slide every single time, and will last for years to come. 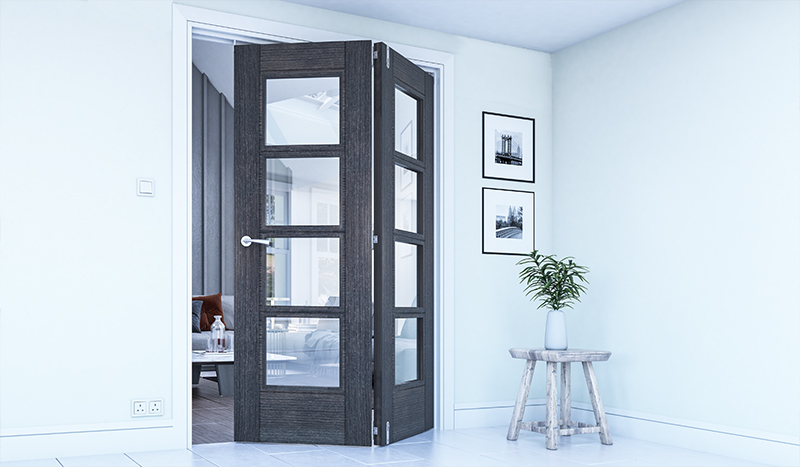 You have the freedom to choose any door from the Deanta range to achieve the look you want. The doors below are the most popular choices for the system. 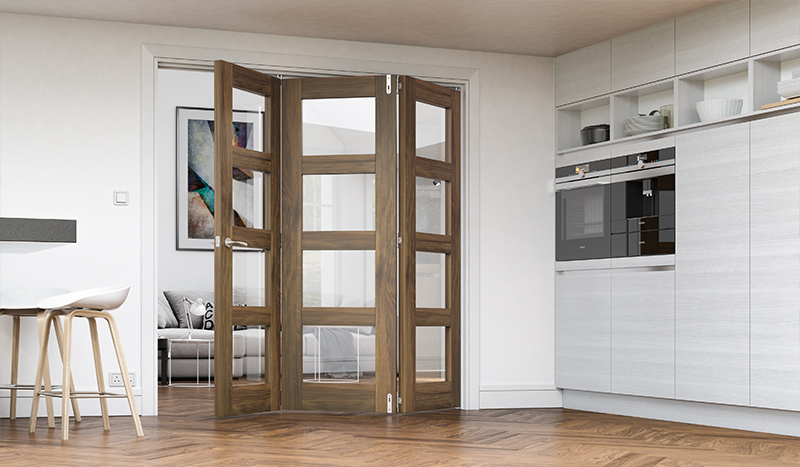 We supply door linings in oak, walnut and primed to match any door you choose for your Deanta folding system. CHOOSE YOUR CONFIGURATION. CHOOSE YOUR DOOR. We have worked in the door industry for over 20 years. 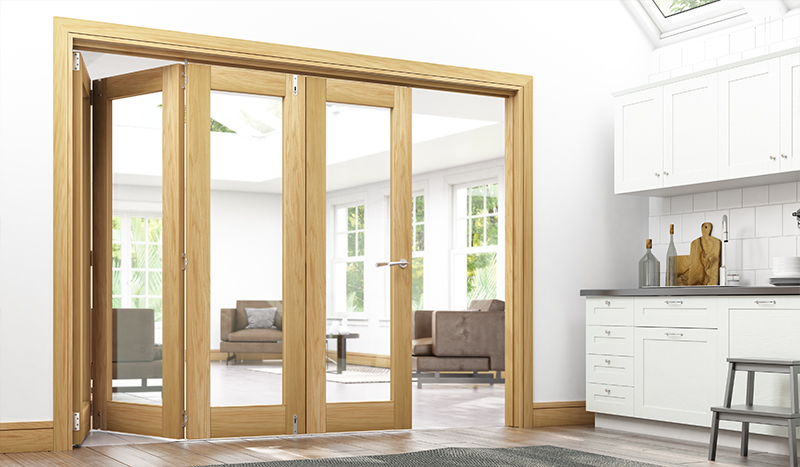 During this time, we have established ourselves as a forward-thinking, innovative company with a mission to revolutionise the door industry. Copyright © 2019 Deanta UK. All rights reserved. | All images © 1993-2019 Deanta UK Ltd.